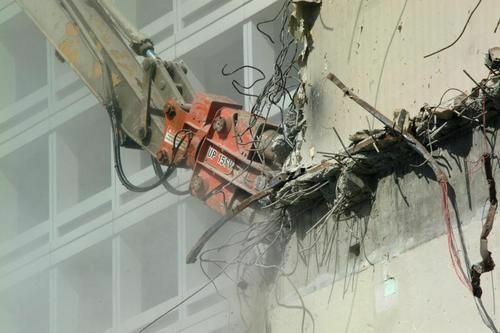 With over 20 years experience in the Demolition Industry Northside Demolition Ltd has earned an outstanding reputation throughout the UK for carrying out and delivering projects to the complete satisfaction of our Clients in both the public and private sectors. Geographically, Northside Demolition carry out projects throughout London and the North Home Counties. in certain circumstances Northside Demolition can assist Clients outside of these areas too. All of our labour force are highly trained and experienced to the highest standards within our industry. Our huge range of experience in demolition also includes site clearance, soft strip (refurbishments and office moves), brick, steel, timber and concrete structural demolitions to £500K. We are also experts in mechanical strip-outs, emergency call-outs, structural and facade support systems, retentions and general demolition within the construation and allied industries. Contact us today for more information on how we can assist you. Northside Demolition carry a full range of plant and equipment. Along with this our labour force and site management are second to none with many years of experience in the industry. Click the button below to see our service range. "northside - the demolition experts"
© 2009-2018. Northside Demolition Ltd. All rights reserved.